Whether you are filing an individual tax return, starting a new business, or planning for retirement, we customize our financial strategies to meet your distinct circumstances. 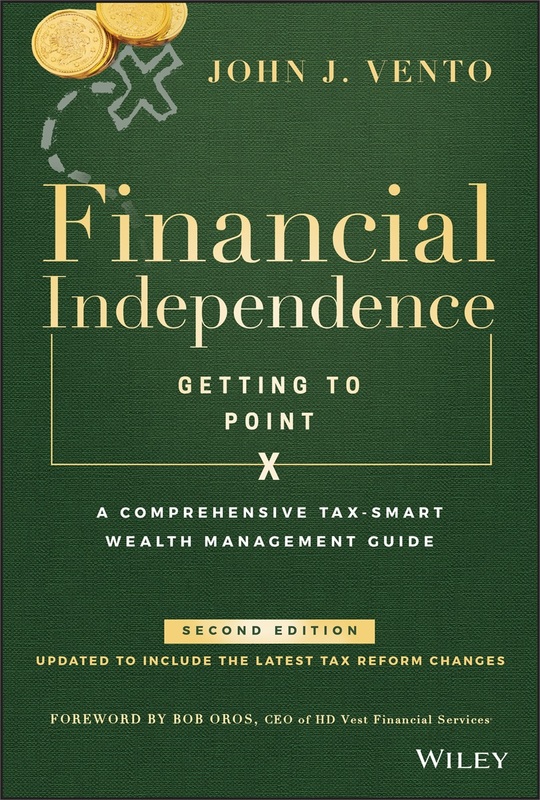 Updated for the 2017 tax reform, the brand new second edition of John’s book is your comprehensive tax-smart wealth management guide to financial independence. Pick up your copy today! With careful and consistent preparation, you may be able to manage the impact of taxes on your financial efforts. It’s never too early (or too late) to start planning your financial future! John J. Vento, CPA, P.C. and Comprehensive Wealth Management, Ltd. provide state of the art accounting, tax and financial planning* services to professional practices (doctors and dentists), high net worth individuals, and anyone committed to becoming financially independent. We provide the tools and advice necessary for pursuing financial success, but more importantly we assist our clients with the implementation of these strategies. Many people seek out our services because, despite being highly successful in their respective fields, they simply don’t know how to navigate the complicated world of wealth management. Young doctors and dentists who are paying off their medical or dental school loans while working to build a stable financial foundation. Dual-income couples who are paying a mortgage and putting their kids through college. Individuals of all ages who are concerned that they haven’t saved properly for retirement. People who have done everything right…but want to do more to secure their family’s future. We work to improve the financial strength of each of our clients by providing them with wealth accumulation, investing* and asset protection strategies. Our ultimate goal is to assist our clients in maintaining and pursuing their financial independence. Be sure to take your first step toward that goal today by picking up a copy of the new second edition of John Vento's book, Financial Independence (Getting to Point X). This comprehensive tax-smart wealth management guide has been updated to help you navigate the new tax law. It's a great insight into why our firm's approach to managing your finances is so unique! *These services offered by John Vento through his affiliation with HD Vest. John J. Vento, CPA, discusses how the new tax law will affect you, with facts and tips straight from his new book.